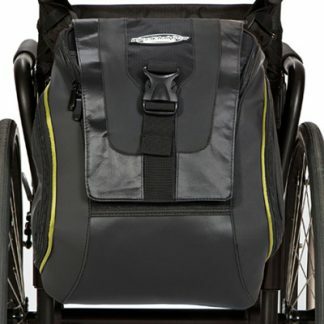 View cart “Urban Wheelchair Messenger Bag” has been added to your cart. 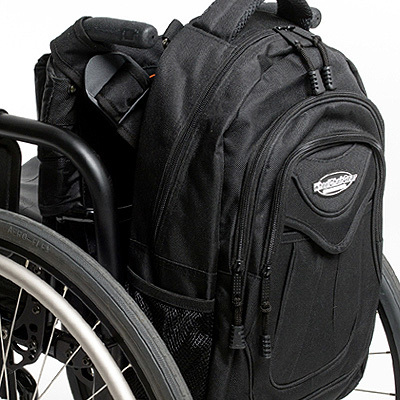 VERY COOL WHEELCHAIR BAG DESIGN. Features three spacious storage compartments: Handy front pocket, and a larger zippered pocket behind it. And you have a large zippered main compartment witch is wide open with a pocket sleeve on the inside-back. 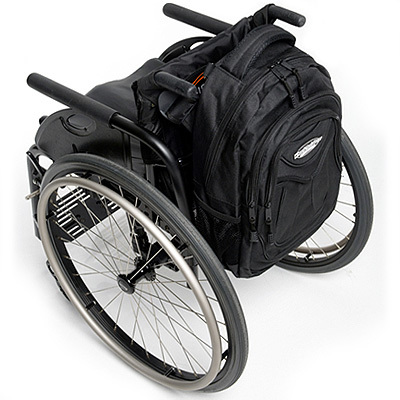 Nice size and modern designed wheelchair backpack. The two side net pockets on either side hold water bottles. 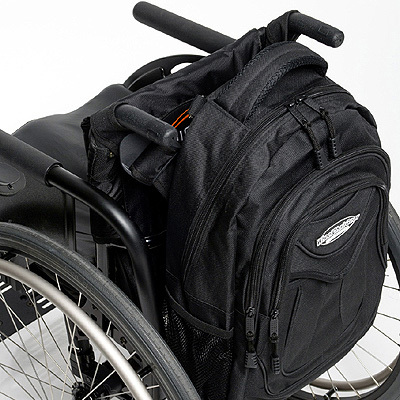 All of our bags have two heavy duty straps with a thick buckle for attaching to your wheelchair. 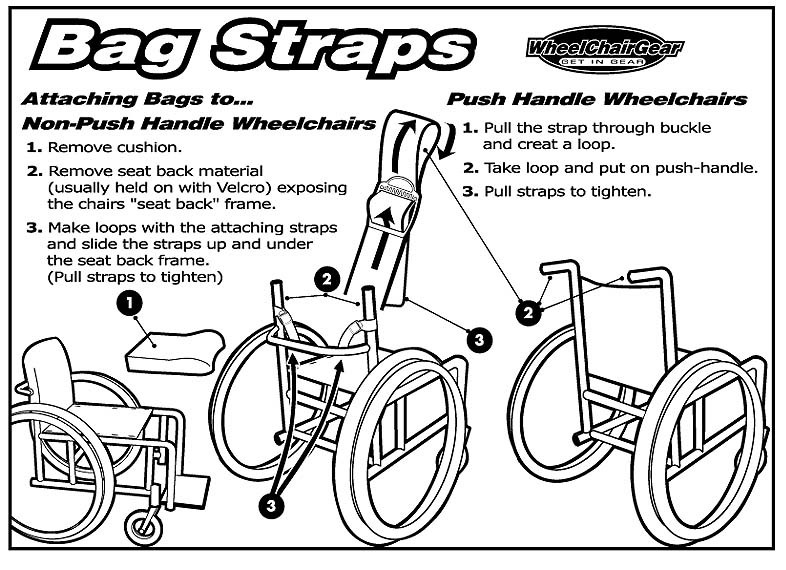 Each bag also has four metal D-rings on the back to hang your bag with hooks or clips. 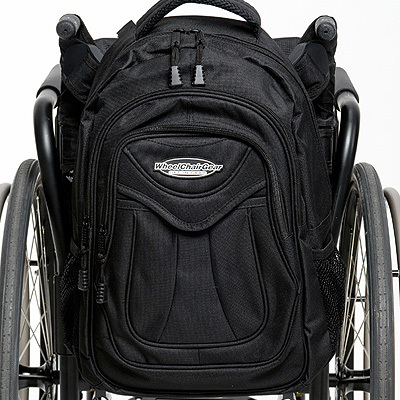 Wheelchair Backpack Size:(approx): 17″ tall and 11 1/2″ wide and 7″ deep. Made from: Black water resistant 600D PVC coated material.